On Sunday, Erev Chanukah, in the Jukavka neighborhood in Moscow, a new beis knesses and Jewish community center will be established, the biggest and most beautiful of the last 15 years. The neighborhood is located in a suburb of Moscow, and the community center has already been operating for six years in a rented structure. After a large parcel of land was offered in a central location in the area, construction began after planning by a London architect who specializes in the design of public buildings. 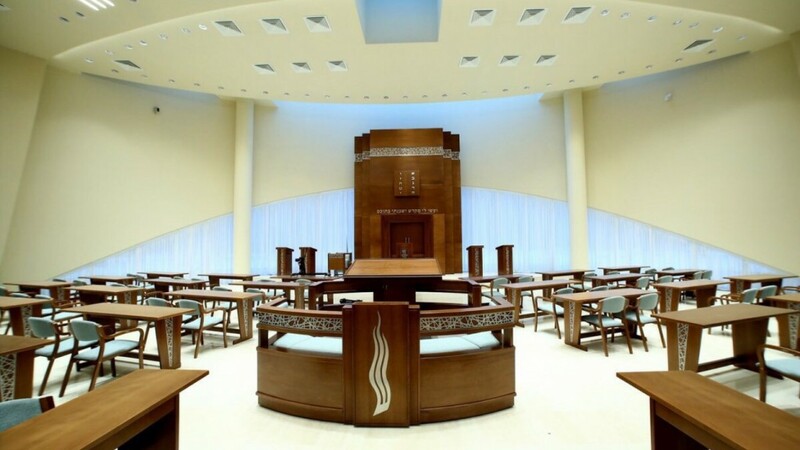 The center, which is run by the Rav of the community and president of the Union of Jewish Congregations in Russia, Rabbi Alexander Barda, includes a beis knesses for 250 mispallelim, an events’ auditorium for 350 participants, guest rooms, mikvaos, classrooms, a library, a children’s center, and a kosher restaurant. The compound is situated centrally, but in a lovely forested area, in quiet and tranquil surroundings — perfectly suited for Shabbos and chagim, tefillos and shiurei Torah that will be held there, far from the noise and bustle of the city. The opening ceremony will be held, b’ezras Hashem, under the auspices of the Chief Rabbi of Russia, Rabbi Berel Lazar, and the Chief Ashkenazi Rabbi, David Lau, along with many guests and other dignitaries. Afterwards, the lighting of the menorah by Rabbi Barda on the first night of Chanukah will take place on an outdoor plaza opposite the main road where thousands of vehicles pass every day. The lighting of the menorah will be followed by a seudas mitzvah.